Last time we showed you how to setup up your environment. In the next few episodes we will take you through the standard CRUD operators that every database is expected to support. In this episode we will focus on the Create in CRUD. Lets look at how we insert JSON documents into MongoDB. First lets start a local single instance of mongod using m.
defaults to connecting on localhost:27017 we won’t need to specify a connection string explicitly in these early examples. 3.6.5 but everything should work with versions as old as Python 2.7 without problems. Unlike SQL databases, databases and collections in MongoDB only have to be named to be created. As we will see later this is a lazy creation process, and the database and corresponding collection are actually only created when a document is inserted. client = pymongo.MongoClient() (line 7) . The client object manages a connection pool to the server and can be used to set many operational parameters related to server connections. We can leave the parameter list to the MongoClient call blank. Remember, the server by default listens on port 27017 and the client by default attempts to connect to localhost:27017.
and a collection, people_collection (line 9). Note that we do not need an explicit DDL statement. A database is effectively a container for collections. A collection provides a container for documents. Neither the database nor the collection will be created on the server until you actually insert a document. If you check the server by connecting MongoDB Compass you will see that there are no databases or collections on this server before the insert_one call. These commands are lazily evaluated. So, until we actually insert a document into the collection, nothing happens on the server. We will see that the database, the collection, and the document are created. And we can see the document in the database. and the index is unique. The _id field is generated on the client and you can see the PyMongo generation code in the objectid.py file. Just search for the def _generate string. All MongoDB drivers generate _id fields on the client side. The _id field allows us to insert the same JSON object many times and allow each one to be uniquely identified. The _id field even gives a temporal ordering and you can get this from an ObjectID via the generation_time method. That is create in MongoDB. We started a mongod instance, created a MongoClient proxy, created a database and a collection and finally made then spring to life by inserting a document. Next up we will talk more abou Read part of CRUD. In MongoDB this is the find query which we saw a little bit of earlier on in this episode. For direct feedback please pose your questions on twitter/jdrumgoole that way everyone can see the answers. The best way to try out MongoDB is via MongoDB Atlas our Database as a Service. It’s free to get started with MongoDB Atlas so give it a try today. Welcome to PyMongo Monday. This is the first in a series of regular blog posts that will introduce developers to programming MongoDB using the Python programming language. It’s called PyMongo Monday because PyMongo is the name of the client library (in MongoDB speak we refer to it as a “driver”) we used to interact with the MongoDB Server. Monday because we aim to release each new episode on Monday. To get started we need to install the toolchain that a typical MongoDB Python developer would expect to use. First up is m. Hard to find online unless your search for MongoDB m, m is a tool to manage and use multiple installations of the MongoDB Server in parallel. It is an invaluable tool if you want to try out the latest and greatest beta version but still continue mainline development on our current stable release. If you can’t or don’t want to use npm you can download and install directly from the github repo. See the README there for details. 2018-07-06T10:56:50.973+0100 I CONTROL [initandlisten] ** WARNING: Access control is not enabled for the database. 2018-07-06T10:56:50.973+0100 I CONTROL [initandlisten] ** Read and write access to data and configuration is unrestricted. 2018-07-06T10:56:50.973+0100 I CONTROL [initandlisten] ** WARNING: You are running this process as the root user, which is not recommended. 2018-07-06T10:56:50.973+0100 I CONTROL [initandlisten] ** WARNING: This server is bound to localhost. 2018-07-06T10:56:50.973+0100 I CONTROL [initandlisten] ** Remote systems will be unable to connect to this server. 2018-07-06T10:56:50.973+0100 I CONTROL [initandlisten] ** server with --bind_ip 127.0.0.1 to disable this warning. The monitoring data will be available on a MongoDB website with a unique URL created for you. Anyone you share the URL with will also be able to view this page. MongoDB may use this information to make product improvements and to suggest MongoDB products and deployment options to you. These warnings are standard. They flag that this database has no access controls set up by default andthat it is only listening to connections coming from the machine it is running on (localhost). We will learn how to set up access control and listen on a broader range of ports in later episodes. First, we need to install the MongoDB Python Driver, PyMongo. In MongoDB parlance a driver is a language-specific client library used to allow developers to interact with the server in the idiom of their own programming language. For Python that means the driver is installed using pip. In node.js the driver is installed using npm and in Java you can use maven. First we import the PyMongo library (line 5). The we create a local client object (line 6) that holds the connection pool and other status for this server. We generally don’t want more than one MongoClient object per program as it provides its own connection pool. Now we are ready to issue a command to the server. In this case its the standard MongoDB server information command which is called rather anachronistically isMaster (line 7). This is a hangover from the very early versions of MongoDB. It appears in pre 1.0 versions of MongoDB ()which is over ten years old at this stage). The isMaster command returns a dict which details a bunch of server information. In order to format this in a more readable way import the pprint library. That’s the end of episode one. We have installed MonogDB, installed the Python client library (aka driver),started a mongod server and established a connection between the client and server. 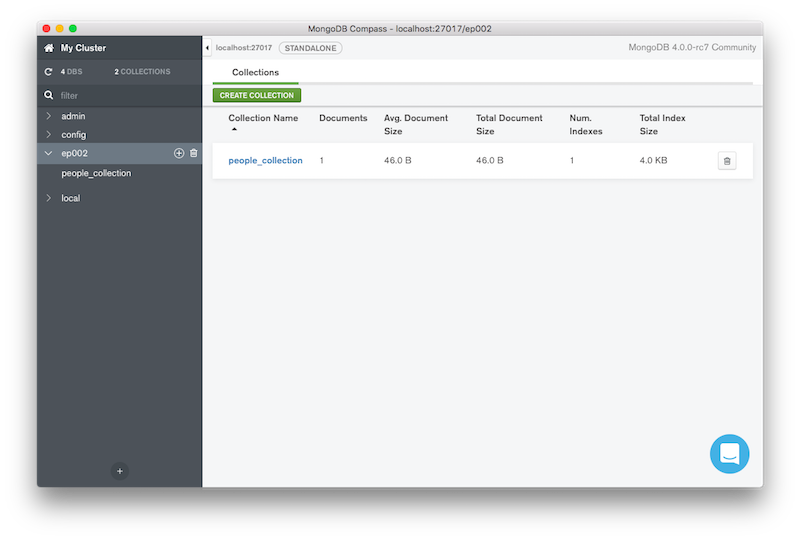 Next week we will introduce CRUD operations on MongoDB starting with Create. 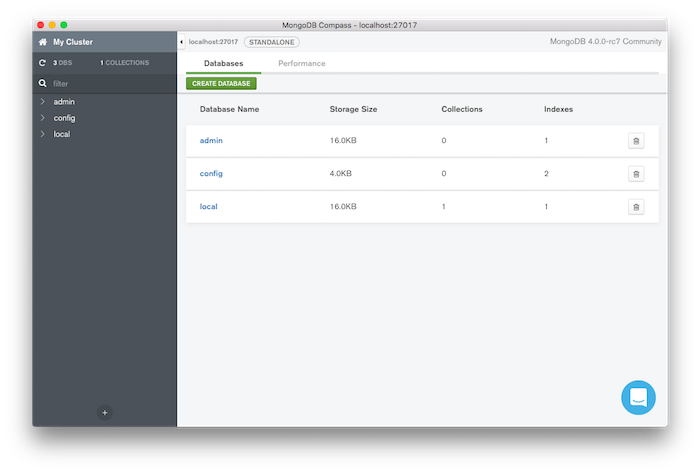 The best way to try out MongoDB is via MongoDB Atlas our Database as a Service. You can deploy a free cluster without giving us a credit card. Come and meet Bryan Reinero in Dublin and/or London at MongoDB user Group meetings that are happening in March on the 16th and 18th. Bryan will be give an overview of MongoDB 3.2 and show us how to integrate Spark and MongoDB. There will be beers and pizza. Hope to see you all there. Monday will mark my first day at 10gen as Director EMEA. Why leave a very successful Irish startup, FeedHenry for a new position in 10gen I hear you ask? Well, it’s not everyday you get a opportunity to work for a company that is changing the world of Enterprise Data, Hugh McLeod famously challenged Microsoft to “Change The World or Go Home” and that’s exactly what 10gen is doing with MongoDB. With 4 million downloads and counting and enormous credibility amongst the code cutters who actually build software everyday this is a once in a lifetime opportunity. Its also Open Source which is something I have been passionate about ever since installing my first GNU C compiler in 1989. What will I be doing for 10gen? I think my boss Ron Avnur described it best: my job will be to help 10gen customers become successful using MongoDB. I will continue to be a booster for FeedHenry and I wish everyone in that company the best of success.